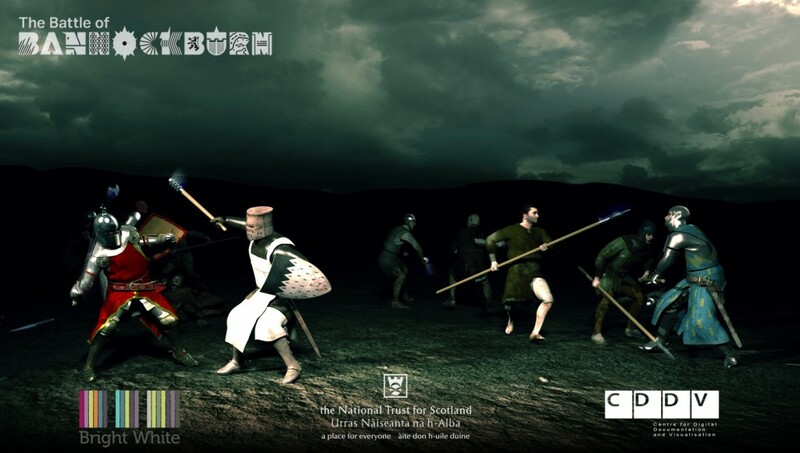 The new Battle of Bannockburn Visitor Centre harnesses 3D technology to bring Scottish history to life. Launched as part of the celebrations of the 700th anniversay of the Battle of Bannockburn, the Digital Design Studio of the Glasgow School of Art, in conjunction with Historic Scotland, used state-of-the-art 3D motion capture technology to create a 270o immersive 3D re-enactment of the battle. ARCHIE-WeSt was the computational workhorse for the rendering of the 3D animation, using Autodesk 3DS Max on 100 nodes running Microsoft Windows, rendering some 160,000 frames of animation and consuming over 2.5M core-hours of compute time. “We have used Strathclyde University’s ARCHIE West for rendering extensively since September 2013. We currently have access to 100 fast nodes which have worked reliably for the duration. Overall support has been excellent and very responsive. The pricing is competitive and remote access has been simple and fast as has the upload of supporting files and download of produced rendered files. Consequently, we can use ARCHIE as an extension of our own in house rendering capability from our desktops.